The Les Paul Nightfall starts with the classic Les Paul Studio design. The Les Paul Studio was an important innovation of Les Paul’s dream guitar. As the name implies, the Les Paul Studio was geared toward studio musicians who desired a basic, unadorned Les Paul weighing slightly less than the heavier on-stage models. Introduced in the early ‘80s, the Les Paul Studio instantly became a favorite for Les Paul lovers of all ages. From that bold yet practical idea, the Les Paul Nightfall veers into the hard rock and metal world for a new super stunning look. Like every Epiphone, the Epiphone Les Paul Nightfall features a Limited Lifetime warranty backed by world famous 24/7/365 day Gibson Customer Service. Visit an Authorized Epiphone Dealer today and test one out for yourself. The Epiphone Les Paul Nightfall features a solid mahogany body with a stunning ebony finish that delivers a hard edged futuristic take on the classic tone and sustain that can only come from a "real" Les Paul. Like all Epiphone Les Paul's, (and unlike less costly designs) the Epiphone Les Paul Studio features a 14 degree headstock that gives you more pressure at the nut for more sustain with less tuning hang-ups caused by "string-tree" gadgets. From there, the Nightfall becomes a very different kind of axe with a plain rosewood fingerboard on a Hard maple 24.75” neck with a single inlay at the 12th fret. The hand set hard maple neck delivers outstanding string-to-body resonance while medium-jumbo frets add to the hard and cutting tone. 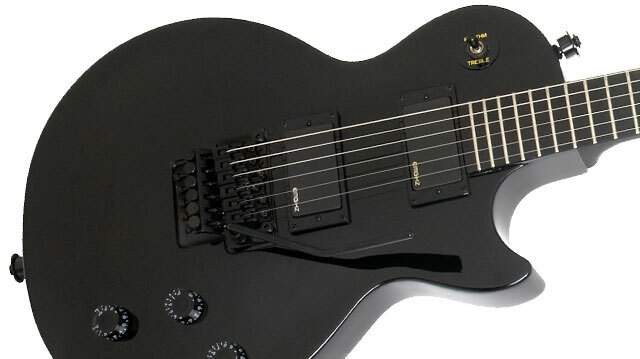 The Les Paul Nightfall further sets itself apart with EMG HZ-4 and HZ-4A pickups that are probably the quietist HZ’s available. Designed to emulate the active EMG 81 and 85, they have an incredible range of tones from complex chords to screaming leads. 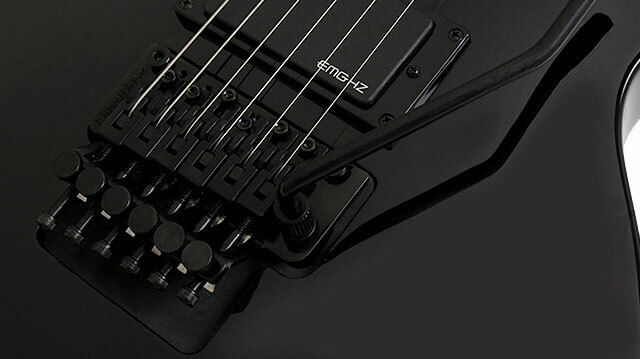 The Nightfall features our legendary rock solid hardware and as an added feature a Floyd Rose Special bridge and tailpiece that can take incredible punishment and still provide solid tuning and intonation time and time again. The Nightfall’s controls use 1" diameter potentiometers for better "throw", longer life, and reliable service and our all-metal toggle switches use rugged spring-steel contacts to ensure years of reliable service and performance. 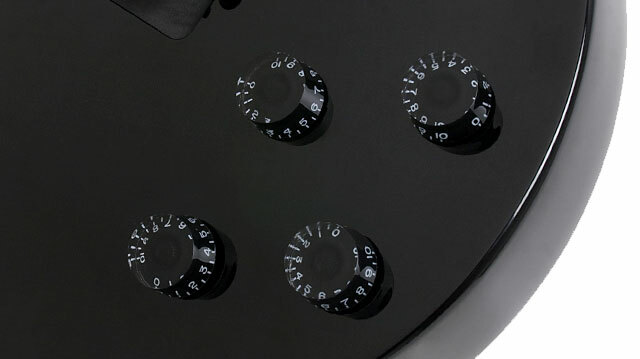 Epiphone’s proprietary output jack features an improved contact shape and heavy-duty spring steel to increase reliability and like all our Les Pauls, the Nightfall include black Grover® machine heads on our tuners for stability and long life.